Injured by a Medical Mistake or Surgical Error? Call 1-800-ATTORNEY Now! The Journal of the American Medical Association states that only heart disease and cancer are more common causes of death in the United States than medical negligence. In 2012, medical malpractice claims totaled over $3 billion, an average of one payout every 43 minutes. In short, medical malpractice occurs when any health care provider fails to provide an acceptable “standard of care” when treating a patient. The definition of “standard of care” is that care which an ordinary medical provider would have provided under similar circumstances. It all comes down to whether or not a particular medical professional was indeed negligent in his or her treatment of an individual patient. Many people mistakenly believe that medical malpractice is when someone dies or suffers further complication when seeking medical treatment. However, it is important to keep in mind that a bad outcome in treatment is not necessarily a sign of medical negligence. The burden of proof is on you (and your lawyer) to prove that the doctor or medical professional acted the scope of acceptable care. The statistics for medical malpractice are alarming. Approximately 200,000 patients in the United States lose their lives each year because of medical errors. Eighty percent of those lawsuits allegedly resulted in no compensation to the injured patient or surviving family members. As a result, it can be hard to find a medical malpractice attorney to take on your case – especially in states which have passed sweeping tort reform measures (like Texas). 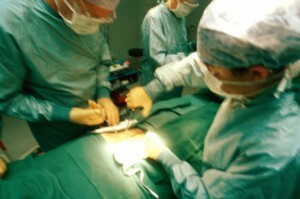 Most medical malpractice attorneys will only pursue cases they believe will result in an award for the injured party. Any patient or survivor who suspects they have a claim for negligent medical care should contact an experienced medical malpractice lawyer. If that particular attorney cannot take on your case, ask for a referral. Your lawyer will conduct a review of the situation in order to determine whether the case may have merit. It’s important to keep in mind that there is a statute of limitations (time limit to filing a lawsuit), so you want to speak with an attorney as soon as possible after the suspected negligence occurred. You also want to make sure you speak to an attorney who is licensed in the state where the incident occurred even if you have moved since that time. 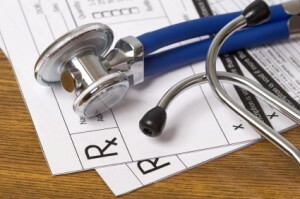 Patients need to be proactive about their medical care. This means that they need to conduct research in order to understand their health condition and document associated symptoms. They also need to write down a list of questions they want to ask their health care provider and make sure they receive full and complete answers. The most important thing is for patients not to allow their health care provider to intimidate them or make them feel uneasy about asking questions. If something doesn’t sound right to you, do not hesitate to tell the health care provider. You are the one who best knows your body—your doctor or nurse can only go by what you tell him or her. 1-800-ATTORNEY can help you find a lawyer to represent you in a medical malpractice case. A consultation will help you determine whether you have a strong case, and 1-800-ATTORNEY offers free consultations to all clients. Call us today!